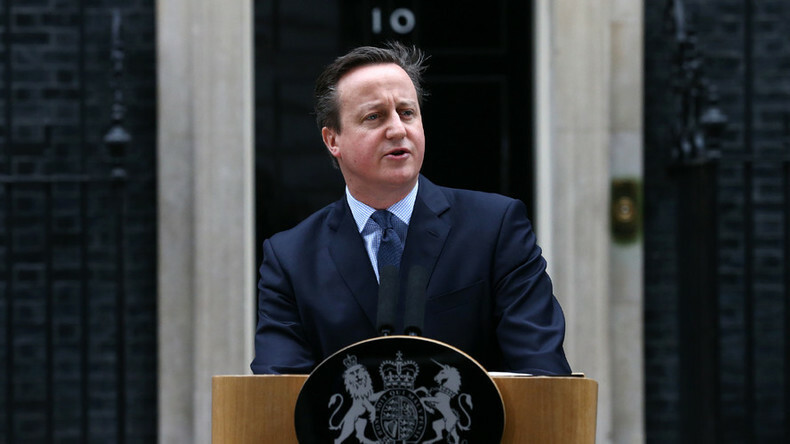 British PM David Cameron says the referendum on EU membership will take place on June 23. The announcement comes after the leader clinched a deal with EU leaders Friday evening. He says he will “campaign with all his heart” to urge Britons to agree to remain in the bloc. "I will go to parliament and propose that the British people decide our future in Europe through an in-out referendum on Europe on Thursday the 23rd of June," Cameron said, speaking outside 10 Downing Street on Saturday. The leader stated that the Cabinet has agreed to recommend that the UK remain in the "reformed European Union." "I will be campaigning with all my heart and soul to persuade the British people to remain in the reformed European Union," Cameron said after securing the deal that was approved by the other 27 EU leaders, as quoted by Reuters. "We are stronger, safer and better off inside this reformed European Union," Cameron said. He is expected to make a statement to parliament on Monday, triggering the start of the campaign. Some of the key points of the deal approved on Friday include restrictions on migrants' in-work benefits, as well as child benefits for the children of EU migrants living overseas. The agreement also allows for the UK to enact an “emergency safeguard” to protect the City of London, aimed at stopping British firms from being forced to relocate into Europe, and to ensure that British businesses do not face “discrimination” for being outside the eurozone. Earlier on Saturday, Home Secretary Theresa May stated that it was in the UK's best interest to remain part of the EU. "The EU is far from perfect, and no one should be in any doubt that this deal must be part of an ongoing process of change and reform," May said in a statement, according to the BBC. "But in my view – for reasons of security, protection against crime and terrorism, trade with Europe, and access to markets around the world – it is in the national interest to remain a member of the European Union,” she added. Cameron also has the support of Chancellor George Osborne. Meanwhile, Alex Salmond, the former leader of the Scottish National Party, said on Saturday that if England votes to leave the EU against Edinburgh's wishes, pressure would rise for a second referendum on whether Scotland should become independent from the United Kingdom. If "we were dragged out against our will by the votes of a much larger English (electorate), then the pressure for another independence referendum in Scotland would be irresistible and I think very rapid," Salmond said. Although Scottish voters will also take part in the referendum on whether to stay in the EU, their votes will be dwarfed by those from England, which represents about 84 percent of the population of the UK, with 53 million people. However, not everyone is rallying for the UK to remain a member of the EU. Justice Secretary Michael Gove, one of Cameron's closest allies, will campaign to leave the bloc, along with the UK Independence Party (UKIP). Referring to the deal secured by Cameron on Friday, the leader of UKIP in Wales, Nathan Gill, said it does nothing for the people of Britain. “I don't think it's significant at all. [Cameron] hasn't asked for much, he certainly hasn't asked for the things that the British people are bothered about," Gill told RT. “The people of Britain will see through this for what it is – it's just smoke and mirrors. It's a meaningless negotiation, a piece of paper, a 'benefits brake' [for migrants] for seven years, but then that's it. [The brake] can only be applied once. Are we saying that the immigration problem is actually going to be solved in the next seven years? Of course not," he continued. This is a truly pathetic deal. Let's Leave the EU, control our borders, run our own country and stop handing £55m every day to Brussels. British voters are divided over whether or not to leave the EU, and opinion polls show that a large number of Britons have yet to make up their minds. 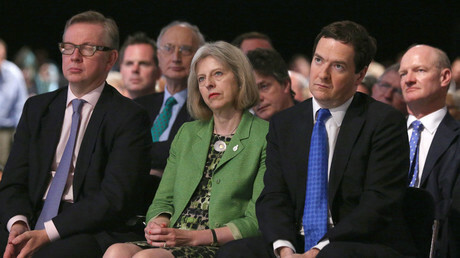 However, Gill believes Cameron's EU deal will fail to sway voters. "I don't think the new terms, the special status, or whatever they're calling it will make any difference to people. The 23rd of June is going to be independence day for the United Kingdom. It's fantastic. We've been campaigning for this for 23 years," he said. However, betting firm Ladbrokes said on Saturday that there is now a 69 percent chance of the UK remaining in the EU, with a 31 percent chance of it leaving. If Britain leaves the EU, the bloc would lose its second-largest economy, one of its top two military powers and its richest financial center. Those in favor of leaving the EU, however, say that Britain would prosper, away from what they say is a doomed Germany-dominated bloc.